I painted on the road side at different times, over the years, in several locations along scenic #7. 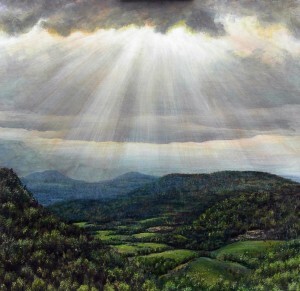 The first version of this painting had the open hand of god reaching out of the clouds, and it was sold off the easel on the side of the road. In this version, I never got around to putting the hand in there before it was added to another patron’s collection. The Original 24×24 Framed Acrylic Painting on Canvas is sold. 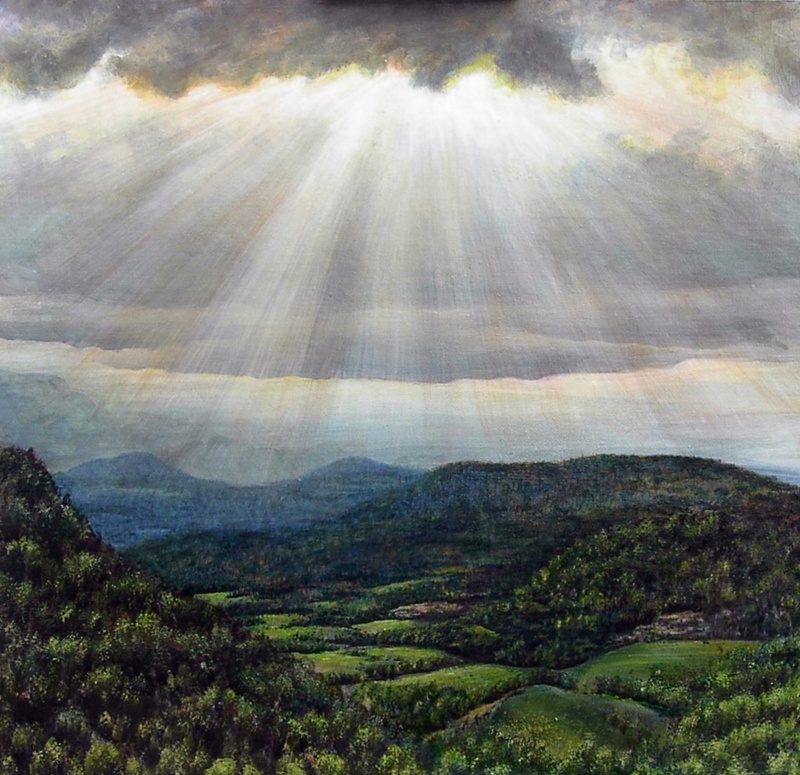 A limited number of prints are available matted, with or without a frame upon request.